I posted a recipe for a mega delicious Mexican Pizza awhile back, but I haven't posted a recipe for the real deal... until now. And anyone who knows me well knows I am a serious pizza lover. If I was going to post a pizza recipe, it had to be right, and this moment feels right to share my love for pizza. I also thought it'd be a fitting Valentine's Day post because homemade pizza is always really fun to make with a significant other or a friend. Although the crust isn't my own, I hope you'll find some inspiration on this post and dive in to the utopia that is pizza land. You could even go as far as calling it your own love pie, if you're as weird as I am. 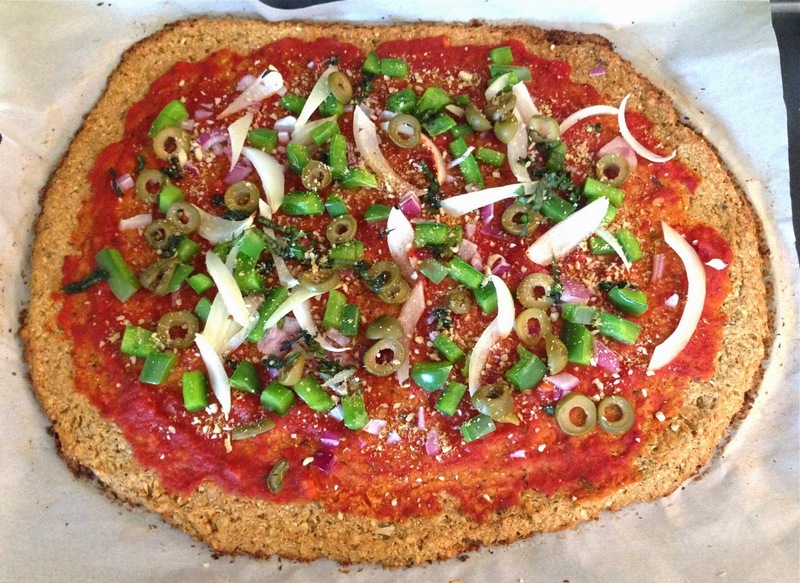 Here are a few of my favorite homemade pizza crusts: Blissful Basil's Sweet Potato Crust and Detoxinista's Cauliflower Crust. Cauliflower crusts can be really tricky to get just right. Every single one I have made hasn't cooked through all the way and never ends up completely firm, but Detoxinista's is the best one I've made so far and I really enjoyed it! It's the one shown in the first picture below. Quinoa-based crusts are quite popular, too, although the one time I made it, I felt it was too dense and didn't enjoy it very much. I'd get it another shot though. *Toppings in picture above: Garlic marinara sauce (I get this from Sprouts), sautéed bell peppers, caramelized onions, green & black olives, fresh basil, and spinach or arugula + sprinkled with cashew Parmesan. I also sometimes add on tempeh "meat", which adds a whole lot of flavor, but that's only if I feel up for it. Sometimes I cannot be bothered and it's pure torture to wait another second to bite into my pizza, so oftentimes, the tempeh must be sacrificed. Banana peppers and Follow Your Heart Mozzarella Shreds are always welcome though. When you're feeling up to making tempeh "meat" to add atop your pizza, do it and don't look back! You may never have a homemade pizza without it again. Tempeh has become one of my favorite plant-based protein sources. I love it can be turned into smoky tempeh bacon or taco meat (see my recipe below). This tempeh "meat" has received high acclaim from my friends and their friends... you know a recipe is a winner when it gets passed along. The seasonings come together perfectly to create a delicious meat alternative that is much better than animal meat in every way. *If you're looking for the tempeh "meat" in the first picture, they're not there. They're hidden underneath all of the toppings in the second picture. 1. Heat a medium-sized skillet (I use non-stick) and 1 tsp oil over medium heat. 2. 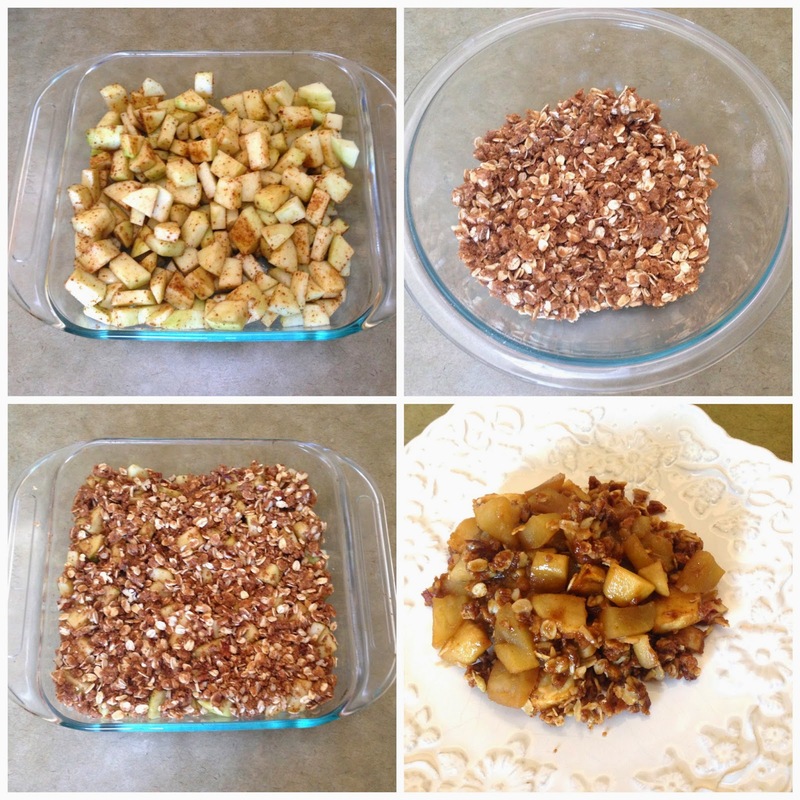 Crumble the tempeh into small pieces in a small bowl. Mix all ingredients together, including 1 tsp oil, in the same bowl until well combined then add to the skillet. Cook for 15-20 minutes, stirring occasionally. Turn down the heat to medium-low, if needed. Adjust seasonings to taste. Whatever your relationship status may be this Valentine's Day, just remember that it's just another day. We should celebrate love for ourselves, other people, animals, and the planet everyday. xoxo. Hello, lovelies. Happy 2015! I hope you're all feeling refreshed and excited for the new year... or maybe exhausted from the holidays and still recovering from the chaos that it can be. That is a total possibility, too. I think we put too much pressure on ourselves as the new year rolls around. In reality, it is just time passing. I believe in having goals, working towards make them a reality and ultimately accomplishing them, but I don't believe in pressure because that leads to stress and stress leads to unhappiness and illness. So, you accomplish your goals and then what? You finally feel a weight is lifted off your shoulders and then you create more goals to be stressed about. What good is living if you're tense and worried constantly? We miss the beauty of life when we're caught up in stress and deadlines. What about what's happening right now? It's all about the journey after all, not the destination. I just say, do what feels good in your heart, do more of what makes you feel elevated and surround yourself with people who inspire you to be better and who deserve your precious time. Even though the holiday season has officially come to an end, enjoying delicious food never does! It is a year-round delight. For that, I am grateful. Saying that it's been too long since I've posted a recipe is probably just annoying at this point, so I will just proceed with sharing one of my favorite dessert recipes with you in hopes that it will make you as happy and warm as it makes me. Top left: chopped apples & coconut sugar. Top right: crumble mixture after vegan butter has been "cut in." Bottom left: crumble mixture on top of apples ready to be baked. Bottom right: final result! 2. In an 8x8 baking dish, combine the apples and 2-3 Tbs coconut sugar. Stir to coat well. 3. In a medium mixing bowl, combine the oats, coconut sugar, flour, and cinnamon and mix well. 4. Cut in the vegan butter until mixture forms coarse crumbs (takes about 5 minutes). *I had no idea what "cut in the butter" meant, so if you're as clueless as I was, watch this for directions & see image above for my example. Then, stir in the nuts. 5. Sprinkle the crumbly mixture over the fruit, making sure to distribute evenly. 6. Bake for 30-35 minutes, or until the topping is golden brown (I bake mine for about 32 minutes). 7. Let sit for 5 minutes before serving. Top with vegan whipped cream or vegan vanilla ice cream, if desired (but 10,000% recommended!). Healthy Share with Claire Ep. 9: Healthy Surprise Vegan Snack Box! Below you will find my second unboxing video of the Healthy Surprise vegan snack box that I love so much! I taste all of the vegan, gluten-free, soy-free, and corn-free snacks I received in this month's box and let ya know what I'd purchase again. You can find my in-depth review of Healthy Surprise here. I hope you enjoy!